Every family is built around values that are taught through experience. As a young girl, my parents taught me through their words and actions the importance of hard work and kindness. 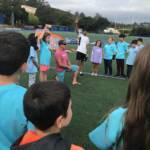 One of the most meaningful arenas for these lessons was and continues to be involvement in Special Olympics. At it’s best, a school is like a family: a group of individuals bound by love and shared core values, committed to teaching children and setting them on a positive path toward future success and happiness. Actions speak louder than words. This is perhaps most clearly demonstrated in the way children learn; children learn by doing. We teach children that it is important to be kind and inclusive, but if we don’t also provide them with real life experiences that provide opportunities to practice these traits and build practical skills, how can we expect children to turn these traits into positive habits? 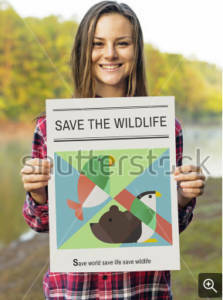 We can’t! 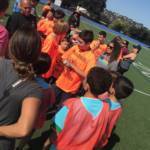 This knowledge and my own personal experiences inspired me to build a partnership between Serendipity School and Special Olympics Northern California three years ago. I knew that our Serendipity community would be receptive to becoming a Unified Champion School. Our community has completely embraced this partnership, and over the last three years, we have not only raised money for the Special Olympics but we have volunteered at many events. 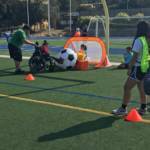 This year our first event was the Special Olympics Soccer Tournament & Skill Rotation at Carlmont High School. Our Serendipity Fourth and Fifth-grade students were assigned various jobs during this event. 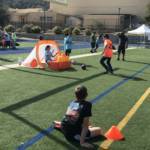 Some students were in charge of a soccer skill station while other students worked at the registration station, water station, or as emcees for the day. Throughout the day, groups of athletes rotated through the different stations, and our Serendipity students helped them complete the tasks at hand. 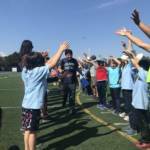 At the end of the day, seven of our Serendipity students played alongside the athletes in a unified Soccer game while the rest of our students cheered on both teams from the sidelines. 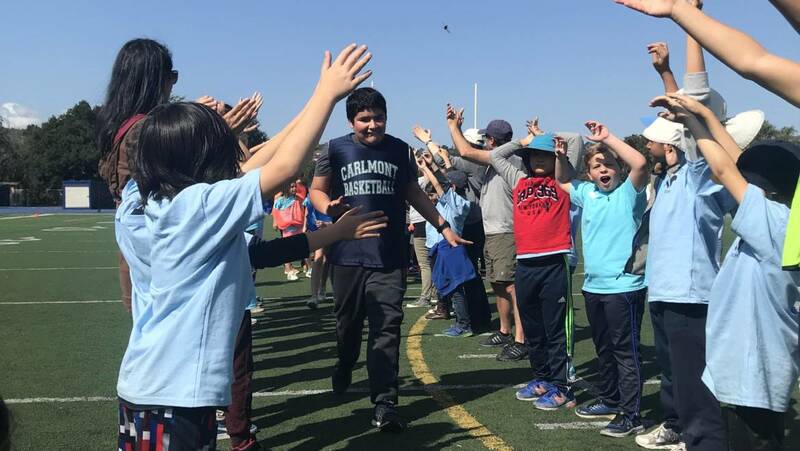 The day came to an end as our spectating students created a “Tunnel of Awesomeness” for all the athletes to run through and receive their ribbons of participation. There are days as educators we never forget, and for me, this was one of them. We asked a lot of our students. We asked them to fully step out of their comfort zones, to step up as leaders and guides, and in the process to become aware of a whole new reality to which they hadn’t been exposed. They rose to the challenge in the most loving and courageous way, and succeeded with flying colors. I can still see the smiles shared between our students and the athletes. 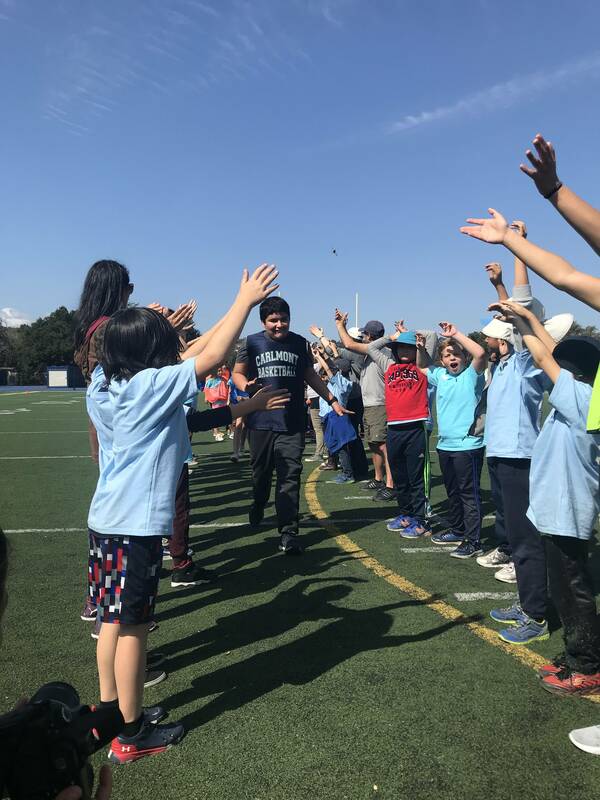 I can still see our students guiding and supporting the athletes, making meaningful human connections that naturally come about through the power of play. Shouldn’t we all apply this to our own lives? Shouldn’t we all aim to be brave in the attempt? What an amazing day! Thank you Sasha for reminding our kids the values that are most important and to remind them of their potential impact on others!